Our God of mysteries can hide blessings in the most unexpected places. Vicki explains. “Blessed are those whose strength is in You, whose hearts are set on pilgrimage. As they pass through the Valley of Baka, they make it a place of springs the autumn rains also cover it with pools. They go from strength to strength, till each appears before God in Zion” (Psalm 84:5-7). If you’re in a comedian’s audience, you look down, thinking, If I can’t see him, he won’t see me. If you’re a seven-year old, your hand rockets in the air , waving like the wings of a hummingbird, believing the fastest waver will get selected. Young children want to be picked before knowing what’s expected. Adults know better. Experience has taught us to first find out what we’ll be signing up to do. The response to gifts also differs according to age. It’s possible to fool our friends. Not so easy to fool God. Sometimes God sends blessings our way disguised in illness. Our thoughts scream, What was He thinking? When I was first diagnosed with multiple sclerosis (MS), sorrow was my immediate reaction. What are You thinking, Father? Don’t You know how much I love teaching? Don’t You know how much I like to be in control and how I dread being dependent on others? I discovered that getting from sorrow to blessings is a process. Psalms 84 describes it as going ‘from strength to strength.’ With a stopover in the Valley of Baka–the valley of weeping. God gently taught me that depending on Him would be a blessing. It provided more opportunities for me to experience His faithfulness and love. We journey on a path closer to Him. Peering out into the horizon and straining our hearts to see Yahweh: the One who provides grace to transform sorrow into blessings. Prayer: Dear Father, My heart is truly on a pilgrimage, yearning more and more for the day I’ll appear before You in glory. Until then, help me think of my life as a quest to find greater contentment in You. Open my mind to recognize the blessings You have for me in the midst of my illness. In Jesus’ name, Amen. Where are you in your journey? Struggling with sorrow in the Valley of Baka or basking in His blessings? Is it possible to be in both? Filed Under: Depression, Devotionals, Grief, Suicidal Thoughts, What's New? So encouraging and I love your words from sorrow to blessing is a process. I loved your pray and I felt they are my words. Thank you! It’s nice to hear our hearts are connected in that prayer. I don’t know about you, but I found relief once it dawned on me I could ask God to help me focus on Him and find His blessings (instead of struggling in my own mental energy). The “Valley of Baka” hit me a little differently when I read it because I automatically took the Japanese version of the word (usually translated as “idiot”, “moron”, or “fool”). But on rereading, that’s not so far off the mark – generally I have to go through a period of idiocy to come out the other side, as what is more foolish than doubting God? But there you have it – you have to work through the doubts, and there really isn’t any getting around that step. Thanks for the insightful devotional. Wow, the Japanese version sheds a whole new light on the message! Come to think of it, I’ve taken a few idiocy trips on roads lined with doubts before realizing my own foolishness. Thankfully God wasn’t hiding…I found Him in plain sight on my journey, redirecting me back to Him. Thanks for your words. They added a whole new richness, filling the message with such truth. “What is more foolish than doubting God?”: I’ll keep your words in mind the next time I’m headed towards an idiocy trail! I love how you describe the process of getting from sorrows to blessings, sometimes having to stop in the valley of weeping. It’s so hard to give up dreams we have a passion for. Why would God give us a passion for it and take it away? So hard to understand, isn’t it? And in the prayer when you said “help me think of my life as a quest to find greater contentment in You. 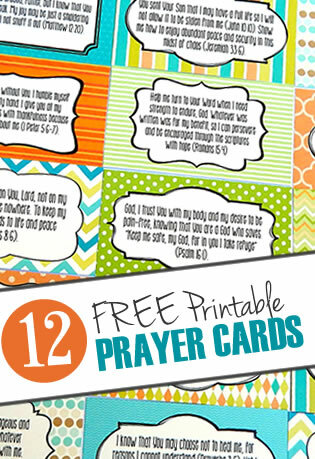 Open my mind to recognize the blessings You have for me in the midst of my illness,” my heart cries an aching Amen. Thank you, Vicki. Let me start with this virtual, empathetic hug. I think our journey involves many stops in the valley of weeping. 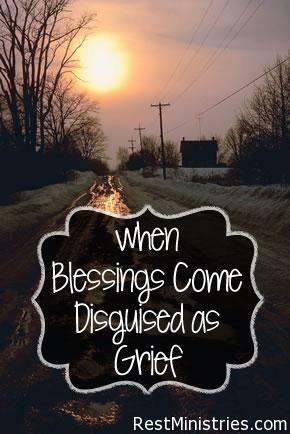 Grief is so hard…and so constant at times…and the weeping is so necessary. I can’t imagine experiencing the losses my MS has brought without God. “Why would God give us a passion for it and take it away? So hard to understand, isn’t it?” Now it’s my heart that’s crying an aching amen. Our comfort: apart from Him nothing would make any sense. When we can’t track Him, at least we can trust Him.